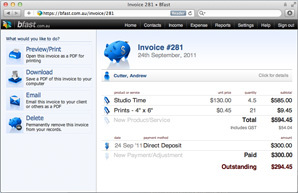 Online accounting software tailored for Australian sole traders. 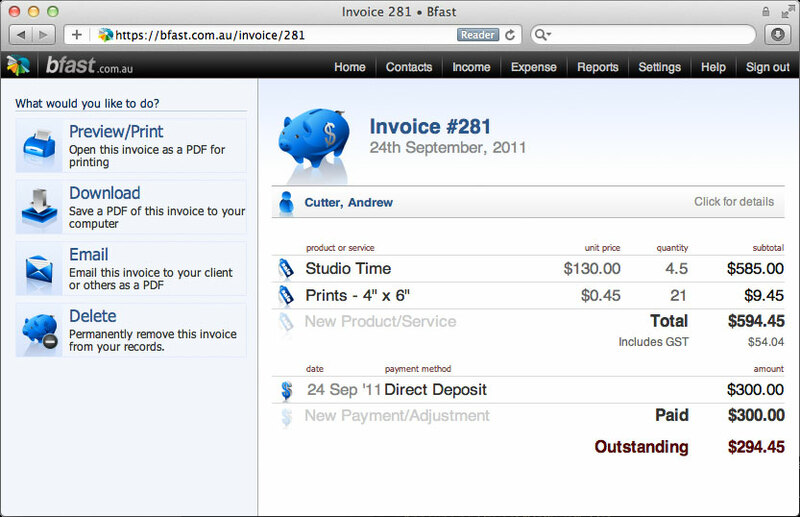 Bfast is the easiest tool available for invoicing clients and completing business activity statements. If you’re new to the ABN system, or you just plain hate bookkeeping, this is the program for you. Bfast takes the pain out of trading solo in Australia by making it a snap to create and send invoices, and by performing all your business calculations for you, so you know exactly what to write on your activity statements. Bfast provides an end-of-financial-year report you can send to your accountant, making your tax return take moments instead of hours. Saves me hours of paperwork hassles. Makes managing invoices and expenses incredibly easy. An absolute pleasure to use. So glad I found this site. Thank you Bfast!